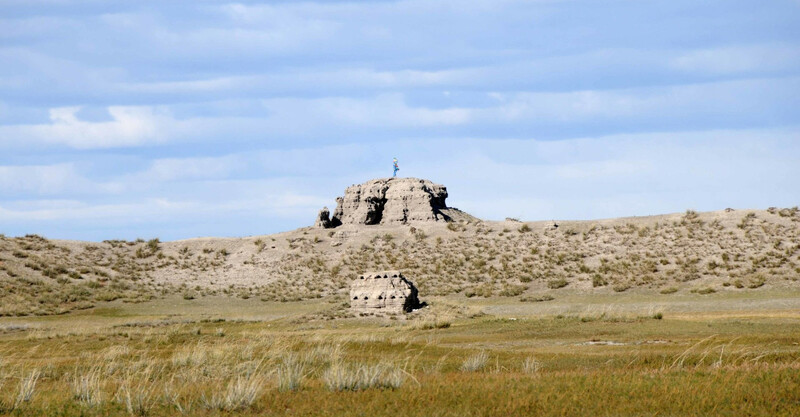 The ruined citadel of Khar Balgas (Kara Balgasun in Turkic) is in Khotont sum on the banks of the Orkhon Gol. The city was founded in AD 751 as the capital of the Uighur khanate, which ruled Mongolia from 745-854. There's not much to see except the outer walls (with gates in the North and South), a Buddhist stupa and the ruler's kagan, or castle, in the south-west corner. From the walls you can see the rows of stupas on either side of the walls and the remains of irrigated fields in the surrounding countryside.